Does anyone else have stress dreams about their garden? I started my master’s degree a few weeks ago. I’m studying Food Systems at the University of Vermont and I absolutely love it so far, but going back to school on top of working full-time, keeping up with my garden, and maintaining my healthy lifestyle is A LOT. I feel like I’m managing it well, but my stress is manifesting in really interesting ways. For the last few weeks, I’ve been having really intense dreams about my garden. I’ve spent many long nights tossing and turning with images of rotting tomatoes and eggplants dancing in my brain. I think my mind is sorting through my (always present) fear of not being perfect and letting something slip, and it’s spitting out panic and guilt that I won’t have time to honor and appreciate the abundance in my life – of which my garden harvest is the most obvious symbol. How am I going to deal? A daily gratitude practice and constant reminders to myself that perfection is unattainable, and my best is good enough. Also, that no matter how busy you are, there is no reason why food from your garden needs to go to waste! If you don’t have time to prepare it, someone else will. Give a gift to a friend or neighbor or donate it to your local food bank. This is a great opportunity to grow kindness and a love of service in your young gardeners. 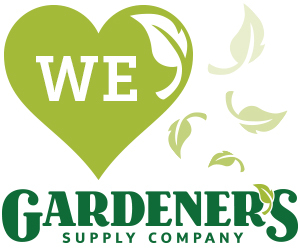 The Garden to Give initiative from our friends at Gardener's Supply can help guide you. One thing a gardener quickly learns is that more is not always better. For example, if you over fertilize your plants, they will end up growing too fast and that new growth will be weak and more susceptible to insects and disease. Ideally you want to provide just the right amount of fertilizer for healthy growth. You also learn that different plants have different nutrients needs. If you try to treat them all the same, some may end up being over fertilized and others may not have enough. Why have I been thinking about this lately? Well, school started back for us about 3 weeks ago and I feel like I am back on the crazy train of raising children in today’s society. My fifth grader has 2+ hours of math homework a night working on concepts I learned in 7th grade and her extra-curricular activities feel like they are trying to teach her to go Pro rather than have fun. As a parent I am feeling a lot of pressure to provide these opportunities for her to be successful, but honestly, I am afraid we are now over fertilizing. There is much talk today about the rising anxiety levels of our children and we are quick to blame technology. But is technology really the reason we have increased the complexity levels of the content taught at each grade level? Back when I was in kindergarten if you knew your letters and numbers by the end of the year you were golden. Now, kindergartners are expected to leave already reading and completing basic math equations. Does it really make our society better for kids to master concepts at an earlier age? What’s the rush? Are all those extra activities really that beneficial? What does "success" really even mean? Back to thinking in terms of the garden, I try to imagine what would happen if I tried to grow a diverse group of plants all in the same garden with the same environmental conditions and fertilizer treatments. I know some would thrive, some would survive and others would fail. So as a gardener would I be happy with those results? Would I keep doing the same thing knowing 2/3 of my plants were not thriving? No! I would be trying to find a way to provide them with the right growing conditions so that they could all reach their maximum potential and I would definitely let them grow at their own pace. So maybe we need a new book titled “All I Need to Know I Learned in the Garden” that encourages us to look to nature for tips on how to provide nurturing environments for growing healthy and happy kids. Let me just add that to my to do list. Whew, it is only September and life already feels like a garden where the vines and weeds are growing out of control (like the picture of one of our butterfly garden containers above). I know I need to get in and weed, prune and transplant to get things back into shape, but it is a slightly overwhelming task and I am not even quite sure where to start. I can definitely tell you my family is some need of some unstructured outdoor time and a strong dose of gardening to combat the beginning of the year stress.